Some years ago, I gave a talk about celebrities who shared their stories about having cancer. I gave some examples of those who I called heroes and those who I felt were zeroes. I was asked to repeat the talk this week and changed it to include suitable role models in Southern Africa. I chose to discuss two Southern African women who have recently shared their stories. Their stories are very different. The first is Zoleka Mandela, the grand daughter of Nelson Mandela. She has written a book called "When Hope Whispers". The first half of the book is about her battle with drug addiction. 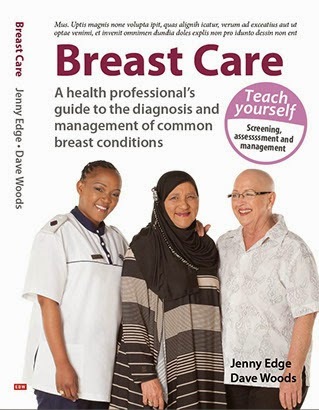 The second half is about her journey with breast cancer. 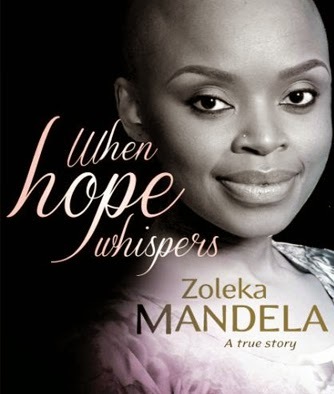 "This book is Zoleka's story of healing and triumph...Zoleka is a living example of success in spite of overwhelming challenges; she is cancer free and enjoying sobriety"
Zoleka was treated in Johannesburg in private hospitals and was able to have a bilateral mastectomy, reconstruction and chemotherapy in the city she lives in. For many women living in Southern Africa, that is not a reality. The second celebrity I talked about was the ex Miss Malawi: Blandina Khondowe. She was diagnosed with breast cancer whilst feeding her son. She had a breast lump for 18 months before it was diagnosed and had to travel to India to get radiotherapy as there are no radiotherapy facilities in Malawi. She returned to Malawi to complete her chemotherapy. She has written a blog and shares some of her thoughts and observations. In her blog, she notes that the women being treated for breast cancer in India are much older than those in her home country and she asks the question why more is not being done to provide cancer facilities in Malawi. Since her diagnosis, she has become a breast cancer advocate in her country speaking out about the lack of facilities and campaigning for more equitable access to management. Have you been inspired by a celebrity's story? Who would you make your celebrity hero? There is only one thing one can say to any performing artists after a performance, and that's 'Wonderful.' Later, the next day, sure, you can talk about things that could be implemented next time around.